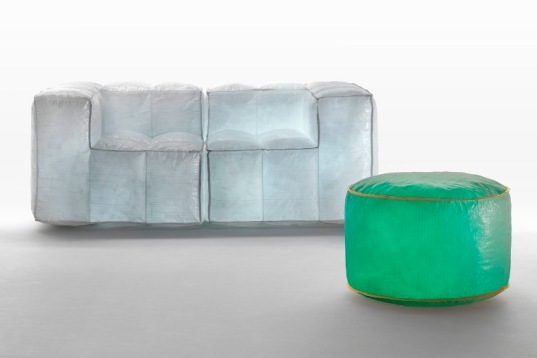 Designed by Mario Bellini for Meritalia, an Italian furniture maker, the Via Lattea furniture line looks like a collection of homemade marshmallows. Light as air, these chairs and couches are made from steel mesh combined with recycled fiber sacks formerly used to transport grain, stones, and sugar. Bellini and Meritalia showed their new line this year at the Milan Furniture Fair and we’re fascinated by the glowing chairs and air-filled sacs. Via Lattea is a striking change from traditional padded furniture and also a significant upgrade from your college room blow-up chair. Low wattage lights are placed inside the pieces to emit a glowing light. 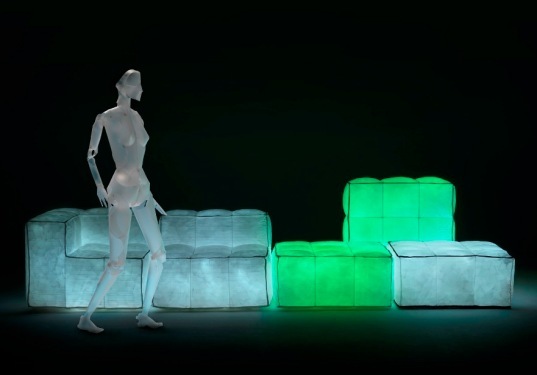 While they may look like they belong in a nightclub instead of a living room, these pieces of recycled furniture require considerably less materials and resources to produce than your typical chair or couch. One note of caution: Though the steel mesh helps the furniture retain its shape, you’ll still want to ban all sharp objects within close proximity to them. 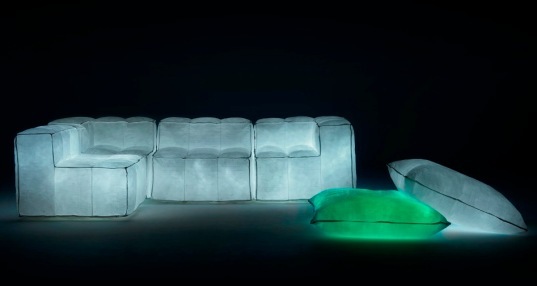 Bellini is an architect and furniture and industrial designer based in Milan. He previously created a line called Stardust in 2007 that is the predecessor for the Via Lattea line; the difference between the two collections is that Via Lattea is less sparkly than Stardust and made from recycled materials. how do i purches this?